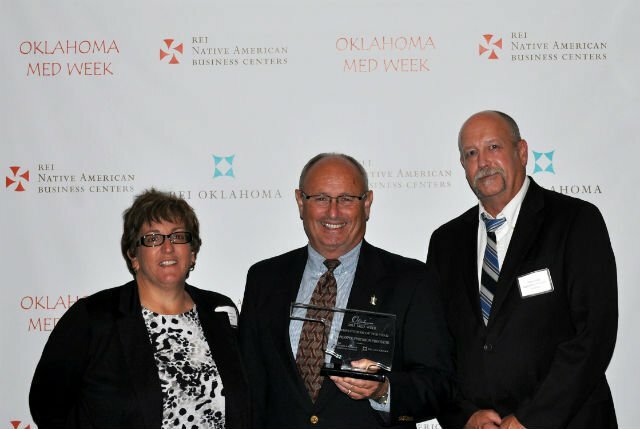 Wyandotte Nation company named 'Manufacturer of the Year'Wyandotte Precision Products (WPP) was named “Manufacturer of the Year” during Oklahoma Minority Enterprise Development Week. The celebration of success of minority entrepreneurs was coordinated by the REI Native American Business Centers. The company was formed in June 2011, with the acquisition and workforce transition of an existing machine shop by the Wyandotte Tribe of Oklahoma’s Economic Development Department. WPP is a precision machine shop, located at the Joplin, Mo., airport, that produces maintenance and repair parts for manufacturing companies in the food processing, printing, oil and gas, military, explosives and automotive industries. Experts in the reverse engineering process, the workforce consists of nine full-time employees, in addition to a contract worker. WPP also utilizes the Wyandotte Nation’s intern program to augment its customer service staff.Comment: For more on Native business honors, see Northrop Wins Warrior Award and Minority Construction Firm of the Year.